AD - We received free entry. On Friday afternoon we headed to Jump 360 Trampoline Park, Newcastle which is actually located in Benton, North Tyneside. Jump 360 is in Bellway industrial estate which is near the big Asda supermarket and Round the Twist soft play, Jump 360 is clearly signposted and is situated near the back of the industrial estate. There was plenty of free on-site parking and a bus stop just a few minutes walk away (although I don't know which buses go pass - sorry). My teenage daughter has been wanting to visit Jump 360 since it opened a couple of years ago, she is a huge fan of trampoline parks (after spending many years having trampoline lessons when she was younger) and has visited sister venue Inflatspace which is just along the road in Walkergate. 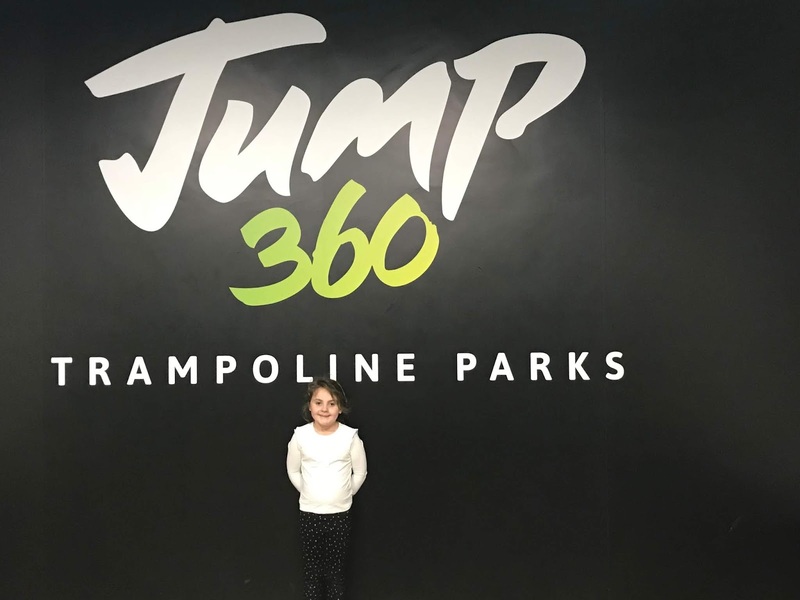 So when we were asked to come along to review Jump 360 I took my teen and her friend (both aged 16) and my younger daughter aged 5, I couldn't take my youngest as the regular sessions are for ages 5 and over, they do however have Jump Junior sessions available for younger children. I love a good roast dinner and being typically northern we have a Sunday roast every single week as you can't beat fluffy roast potatoes, Yorkshire puddings and lashings of thick gravy. 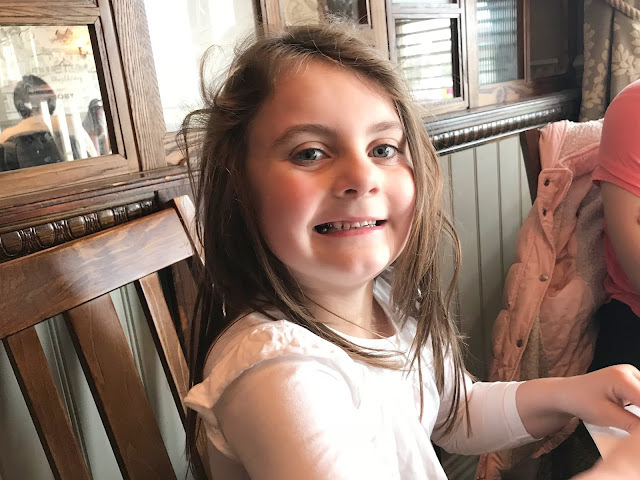 However sometimes when we are busy we just don't have time to cook a roast so we often find ourselves heading to Toby Carvery as it is somewhere that all five of us enjoy, even our very fussy eater of a five-year-old! Plus we always find it really good value when eating out as a family of five. Last Saturday we went shopping at Kingston Park and we decided to head to Toby Carvery whilst we were there. We normally head to the more newer Toby Carvery Shiremoor as this is closer to where we live, however before it opened we were regulars at the Kenton branch as I used to crave them when pregnant with Sophia, so I was keen to see if things were as good as I remember. We arrived around 2.30pm on a Saturday afternoon and it was fairly busy, however, we were greeted straight away at the entrance and showing to a table in the dining area. I noticed that the restaurant had a bit of an update since I last visited about five years ago and everything looked more modern yet still welcoming. The dining area and bar area were very clean and there were lots of staff dotted around serving customers, first impressions were good. 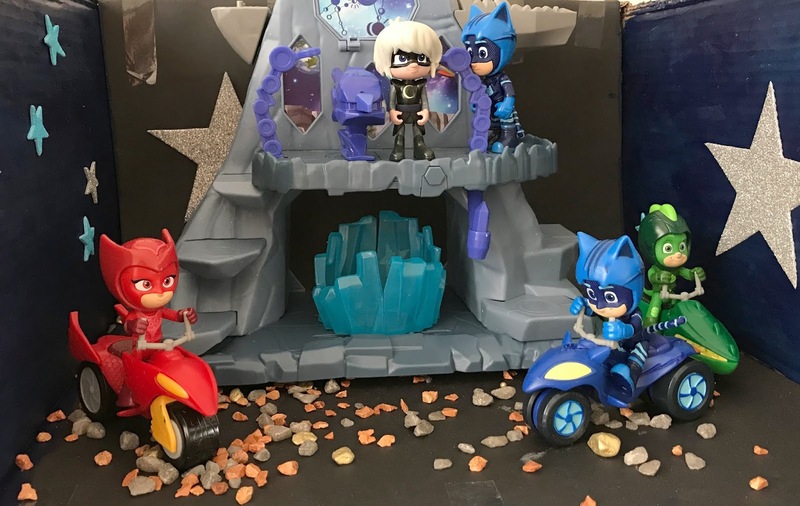 My 4 and 5-year-olds are huge fans of Disney Junior and one show they have been watching since it hit the screen is PJ Masks, for the past couple of years they have loved following the adventures of Owlett, Geko and Cat Boy. So when we were sent a box full of the new PJ Masks Super Moon Adventure toys - include baddie Luna girl my children were super excited to start playing and recreating scenes from the show. 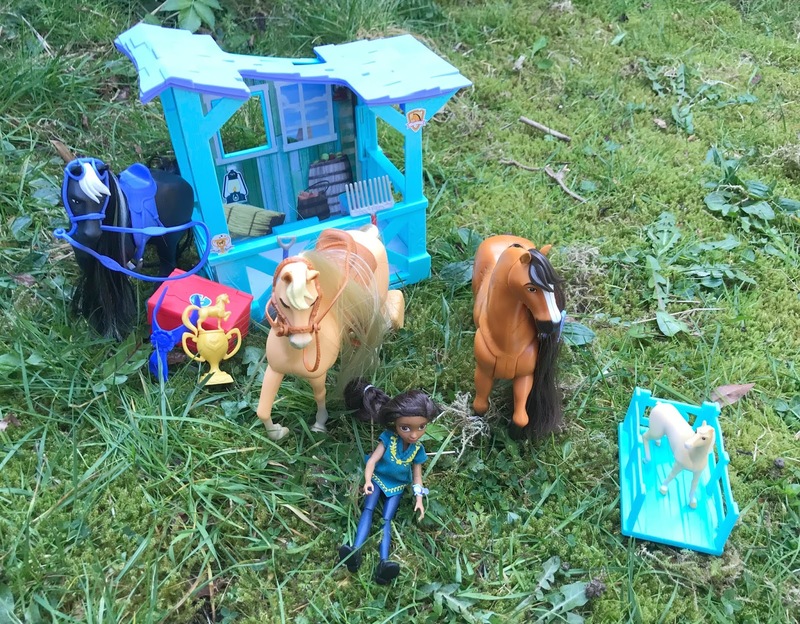 We were also sent some crafty bits to help create our own Super Moon background so the children could enjoy some Super Moon adventures of their own with the new toys. I am not the most crafty of people but my girls adore getting creative, my 5-year-old Sophia is always cutting, colouring and 'doing art' and my teen is busy studying for her GCSE art exams at the moment. So I left creating the Super Moon background up to them and they managed without any adult help. March has been and gone and I have to say it was a bit of a strange month for us, it had a few good things, lots of illness and plenty of wedding planning. March started off well for us and we have had a few meals out, a few days out, we ticked a few things off our huge wedding to-do list and the little two have had a nice month with no illness. However both myself, my teen and other half have been unwell with my teen and other half both ending up in hospital. The other half ended up in hospital at the start of the month with kidney stones, then I fell ill with flu which wiped me out for almost two weeks and then my teen ended up in the hospital with her asthma. I feel like I am so behind on everything and like I have hardly blogged due to all the illness we have had. Anyway, March was not all bad and was busier than February so here are some of the things that I have loved this month. Our time at school is one of the most formative and important in our lives. Not only are we taught important lessons in literature, maths and science, which fuel our understanding and curiosity of academic subjects, but we also deeply learn about ourselves, society and the world around us. For most, it's where lasting friendships are formed, unforgettable memories are created and new experiences and ideas are tried and tested. It's no surprise, then that leaving school is a pretty big deal. 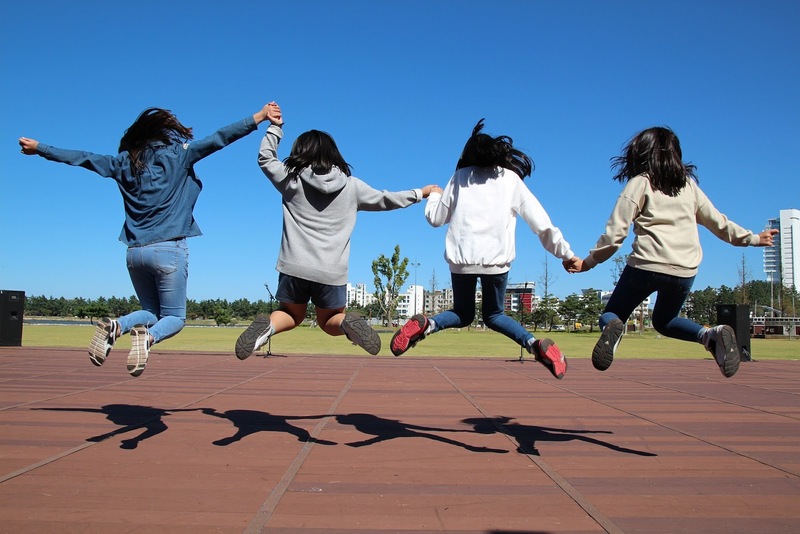 Students are eager to mark the end of their school life in a range of creative and fun ways. There are the end-of-term pranks and the endless staged photos, but of all the leavers' traditions, the most enduring and significant is the leavers' hoodie. As students across the country gear up their revision in preparation for their final exams, whether they're SATs, GCSEs or A-Levels, below I take a look at the enduring appeal of the leavers' hoodie and break down the three top reasons why they're a school leavers must-have. It is now just 3 little months until I get married and we are full steam ahead with wedding planning, I can't believe how much there is to organise and think about for just one day! The closer the big day gets the more anxious I am becoming, I feel really overwhelmed as I feel like we still have so much to do and think about. 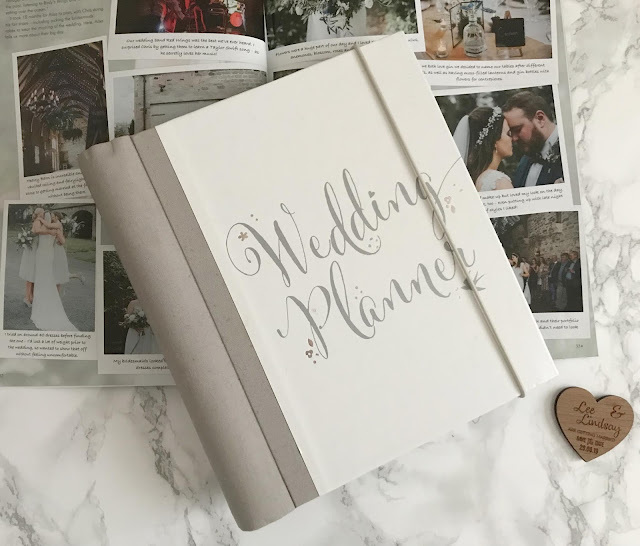 Last month we were actually pretty productive and got a lot of things sorted and ticked off our pretty big wedding to-do list, I am hoping this month is as productive.